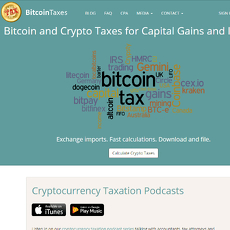 CryptoTaxPrep is a fully tailored tax solution for individuals dealing with cryptocurrencies. 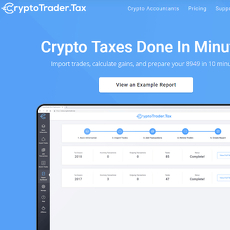 While most tax solution involves uses inputting data and exporting a tax report, CryptoTaxPrep is a team of CPA's that deal with the whole process for the user. The parent company Happy Tax was founded in 2014. CryptoTaxPrep offers a number of different packages depending on how involved users are with cryptocurrencies. The most basic package supports just a number of exchanges while the more advanced packages are for traders who are utilising many different platforms and have complex transactions and trades occurring in cryptocurrencies. The packages range in pricing from $600 per year to $3500 making it a more expensive option when compared with software solutions. 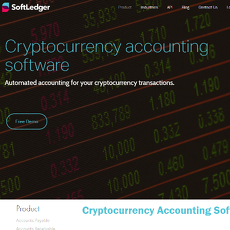 Users have the option to provide their trading history via a CSV file or there is also the option to enable CryptoTaxPrep to connect to the exchange via API. 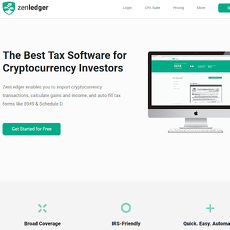 CryptoTaxPrep is a good option for traders of larger amounts who want the certainty of CPA’s organising their crypto-related tax. The option is far more expensive than alternatives which makes it unfeasible for a lot of traders to use this service. The service is also focussed on the US and is not applicable to other tax jurisdictions.